August 2, 2018 5:29 pm. Cambridge trainer Lauren Brennan is keeping close tabs on the Waikato weather forecast as she prepares former Singapore galloper Magnum for a return to racing. 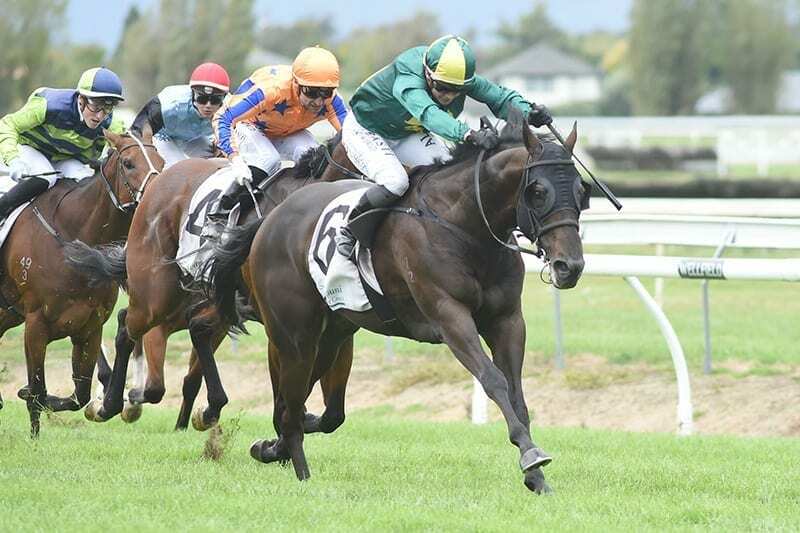 Brennan has the Per Incanto six-year-old entered for the Allied Security 1200 at Te Rapa on Saturday, but doesn’t want to see any downpours of rain. “He can go on a slow8, but anything worse than that is no good to him,” Brennan said. “He showed that in the Easter. Rain is forecast and if it turns to a heavy track on Saturday he won’t run. I’m hoping the rain doesn’t come. Magnum came into Brennan’s stable after winning four races and earning more than $350,000 in Singapore. A smart sprinter, he was five times stakes placed, including a third when stretched to 1600m in the 2016 Singapore Guineas. He has had four starts for Brennan and broke through for his first win from the stable when taking the Listed Flying Handicap (1400m) at Awapuni last March. He then stepped up to 1600m in the Gr.2 Manco Easter Handicap at Ellerslie on April 21, but, like a lot of horses that day, he failed to handle the testing heavy10 track and finished unplaced. “We won’t be running him in anything like that again,” Brennan said. As part of that build-up, Magnum has joined other members of the Brennan team being taken over to work on the trial track at Te Rapa. “We’ve been using Te Rapa for gallops and it’s worked well,” she said. Magnum won over 900 metres at the Te Rapa trials on July 17 and holds a nomination for the Gr.1 Tarzino Trophy (1400m) at Hastings on September 1. “He’s quite a way down the pecking order for the Tarzino and there’s only a slim chance he will get in,” Brennan said. Magnum will be ridden on Saturday by Sam Spratt, taking over from Jason Waddell, who was aboard in the Te Rapa trial. Waddell has a firm commitment to the exciting Julius, the favourite and unbeaten in his last three starts. Julius will be on trial for both the Gr.2 Lisa Chittick Foxbridge Plate (1200m) at Te Rapa on August 18 and the Tarzino Trophy. Though Brennan believes Julius is obviously the one to beat on Saturday, she can take heart from the fact Magnum is getting a 4kg weight advantage from the favourite. Brennan has already enjoyed success this week, having produced impressive maiden winner English Gambler at Tauranga on Wednesday. “The way he accelerated at the top of the straight was impressive,” Brennan said.